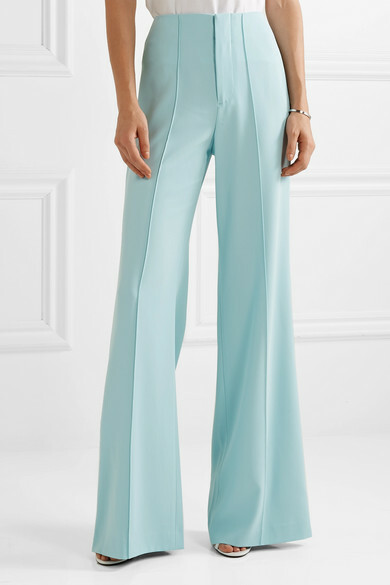 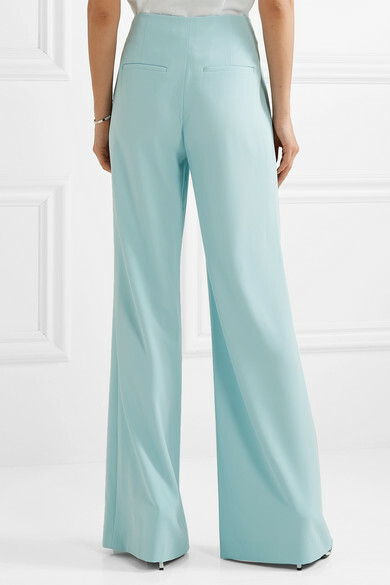 Alice + Olivia's dreamy Spring '19 'Wonderland' collection includes sharp tailoring in beautiful pastel hues..These sky-blue 'Dylan' pants are made from structured crepe and sit high on the waist before falling to an exaggerated wide-leg silhouette that's emphasized by raised seams. 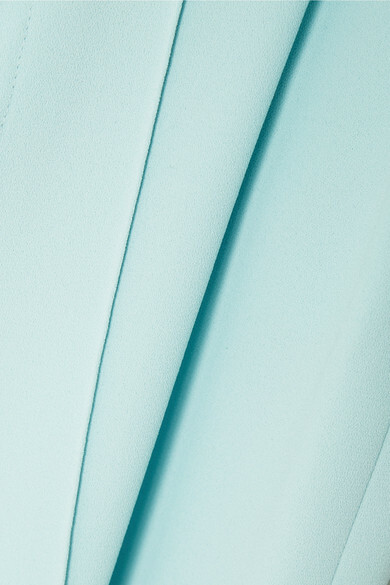 The floor-skimming length calls for your highest heels. 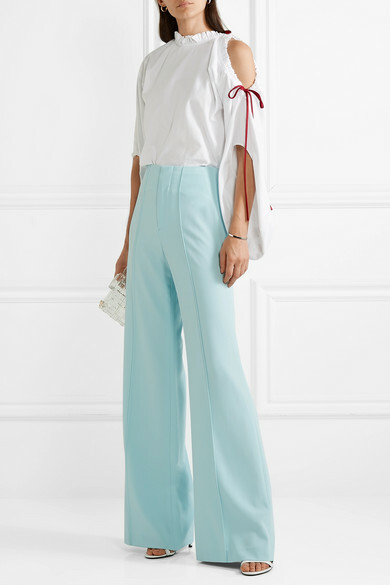 Shown here with: Hellessy Blouse, L'AFSHAR Clutch, CALVIN KLEIN 205W39NYC Sandals, Jennifer Fisher Cuff.